The UN votes to adopt the Declaration on the Rights of Indigenous Peoples, Sep. 13, 2007. Photo: Stefan Disko. 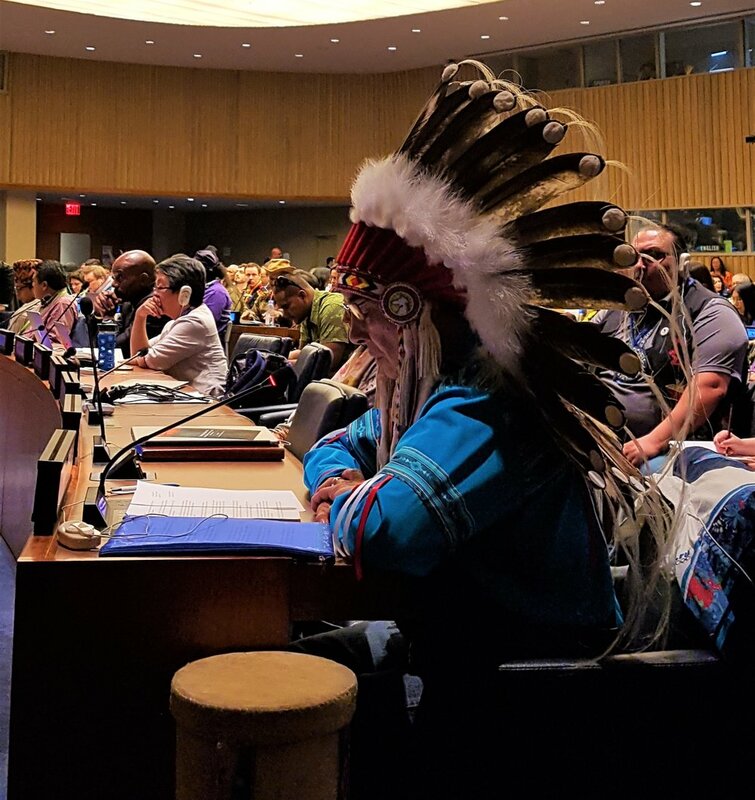 The United Nations Declaration on the Rights of Indigenous Peoples is the most comprehensive international human rights instrument to specifically address Indigenous Peoples' economic, social, cultural, political, civil, spiritual and environmental rights. In its own words, the Declaration sets out minimum standards necessary for the “dignity, survival and well-being” of Indigenous Peoples. 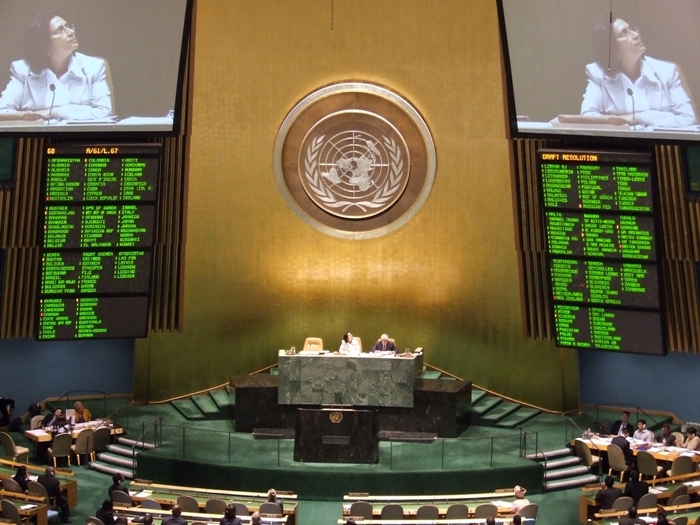 The Declaration was adopted by a vote of the overwhelming majority of the UN General Assembly. The Declaration affirms collective rights of Indigenous Nations or Peoples and the individual rights of Indigenous persons. All rights in the Declaration are inherent: governments cannot give or take away these rights. International human rights declarations have diverse legal effects. Indigenous Peoples’ representatives worked for more than two decades to achieve the Declaration. It is the first international instrument where the rights holders themselves participated equally with states in the drafting. The Declaration constitutes a principled framework for justice, reconciliation, healing and peace.